Dog Breed Cartoon has prepared something new for you! Every month we will share a free calendar! This way you will never miss an important dog related day again. Let’s remember all the important dates, and celebrate our dogs together! Many dogs are brought in a shelter as strays or end up there after being rescued from unfortunate living conditions. Because of these circumstances it’s hard to know when their birthdays are. That’s why on this day we celebrate all our friends in shelters! Make the time on this day to help out in the shelter, play with our friends who are living there or make a donation. And if you have adopted a dog, you can celebrate its birthday by having a dog-party! Let’s all celebrate our friends and help dogs in shelters enjoy their day! We all know how determined and hardworking our dogs can be. Today is the day to work hard and appreciate and reward those who work hard every day! Get motivated and inspired, and put in some extra work hours! If you know someone who works like a dog, why not try and take the load off their shoulders and give them a day to enjoy some well-earned rest? Or just remember to say “Thank you!” and “Good job”. The official day for showing how much we love and cherish our pets! 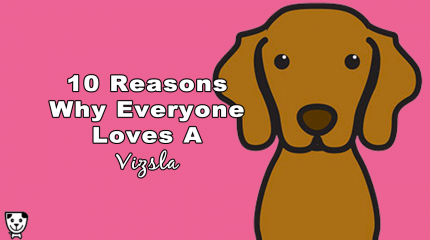 Our dogs show us how much day love us every day! They wag their tails as soon as we look at them or start talking. They spend their day waiting for us to come home and give them a belly rub. The time we spend with them is the highlight of their day! The only flaw our dear pets have is their lifespan. And they spend half of it waiting around for us to find the time in our busy schedules for playtime. On this day we thank them for their love, companionship and undeserved adoration they have for us. Let’s spoil them like crazy on this day! 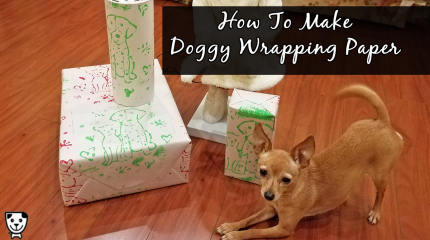 Get them a tasty treat or a new toy, and spend more time on play and belly rubs! This day serves as a reminder to all pet owners to have their dogs microchipped and to check and update their pets’ microchip registration information. In case our dogs get lost, the chip can help identify and bring them back home. If by the unfortunate circumstances we get separated from our pets, for us to be happily reunited, the chip needs to be working properly. Let’s insure our happy ever after, but try not to lose them. International Society for Animal Rights began the International Animals’ Day in 1992. Every year on the third Saturday of August, animal protection organizations and concerned individuals all around the world work on raising awareness about the pet overpopulation. Many innocent dogs lose their lives simply because there are not enough good holmes for them. On this day we let the rest of the world know we will not tolerate this senseless killing. We are the voice of all the helpless animals, and together we need to do our best to protect them. In 2004, Colleen Page founded National Dog Day. She is a Pet and Family Lifestyle Expert who wants to celebrate dogs and encourage adoption. This day is dedicated to celebrating all dogs, regardless of their breed, and raising awareness of the number of dogs that need to be rescued. We should remember how much dogs do for us, and show how thankful we are for their love and service. National Dog Day honors pet dogs and service dogs who work selflessly on saving lives, keeping us safe and bringing us comfort. Unfortunately we have all lived through the loss of our pet. Losing such and innocent ball of joy from our lives leaves us feeling hollow and sad. But on Rainbow Bridge Remembrance Day, we should look at the old photos of our pets, remember the fun times we’ve had together and all the times they made us laugh. They may not be with us anymore, but we will forever be influenced and shaped by the time we spent together. Coleen Page from the Animal Miracle Foundation founded National Holistic Pet Day to encourage owners to look at the issues that could impact the welfare of their pets. This day is an annual opportunity to promote holistic treatments many people have not yet considered in terms of treating their pets. This day should promote the idea that pets’ lifestyle, diet and environment should all be considered to keep them healthy. Using holistic treatments could improve nutrition, increase pets’ energy and even cure some chronic conditions. 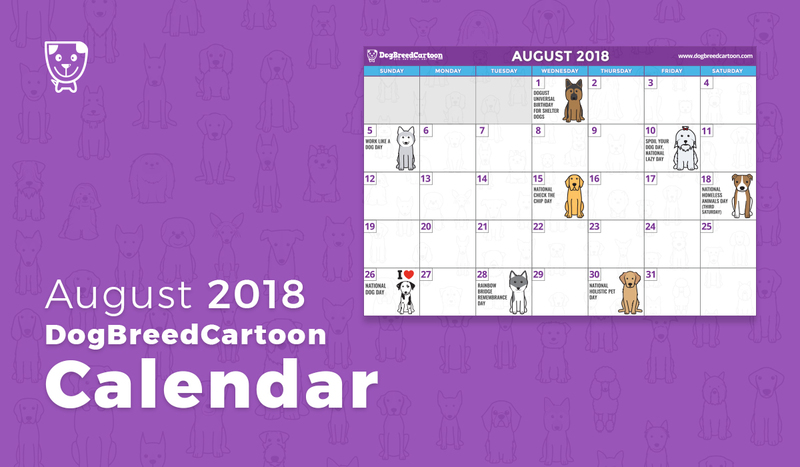 If you want to be kept informed of all upcoming dog-related days, you can download your August DogBreedCartoon calendar below.